Many Americans elsewhere view Appalachia’s environmental health conditions with ambivalence or outright classist indifference, and some have written us off as a “national sacrifice zone.” But our environmental struggles echo conflicts over the Dakota Access Pipeline, the Niger River Delta oil fields and other places that are trying to limit harms from extractive industries. In my work, I have proposed reframing Appalachia’s concerns as a struggle for “environmental human rights” – the idea that all people are entitled to a healthy environment. Characterizing these problems as violations of environmental human rights can open up new and more robust legal remedies. It also means that environmental harms will be viewed more vigorously as moral issues. We view them that way at West Virginia University College of Law’s new Appalachian Justice Initiative, which is working to secure a better future for our region. The idea of environmental human rights dates back to the environmental movement of the 1960s and 1970s. It follows other, more established conceptions of human rights, such as civil and political rights and economic, social and cultural rights, and often is classified as part of a so-called third generation of “newer” human rights. Appalachia is a classic exemplar of the “natural resource curse” – a theory developed by social scientists to explain why some places that are rich in extractable resources fail to develop. According to this view, outside capital interests that control these resources – in Appalachia, Big Coal – wield vast power, and often “capture,” or co-opt, regulatory agencies. Of course, laws and regulations are of little use if they are not robustly enforced. Pennsylvania adopted an amendment to its constitution in 1971 stating that “the people have a right to clean air” and “pure water.” It also requires the state to act as trustee of public natural resources “for the benefit of all the people.” For years Pennsylvania courts gave relatively light weight to this provision. But in June of this year, the Pennsylvania Supreme Court established a broader interpretation of the environmental amendment in an oil- and gas-related matter. This decision in a case that challenged the lucrative business of fracking was a heartening precedent, and shows the value of advocating for the people’s right to a healthy environment. Much media coverage of Appalachia is classist and one-dimensional. For example, during the 2016 presidential campaign the region was portrayed as a unified bloc of “Trump country,” although it actually is much more socially and politically complex. Pursuing environmental human rights in Appalachia challenges counterproductive stereotypes about our region’s supposed isolation. 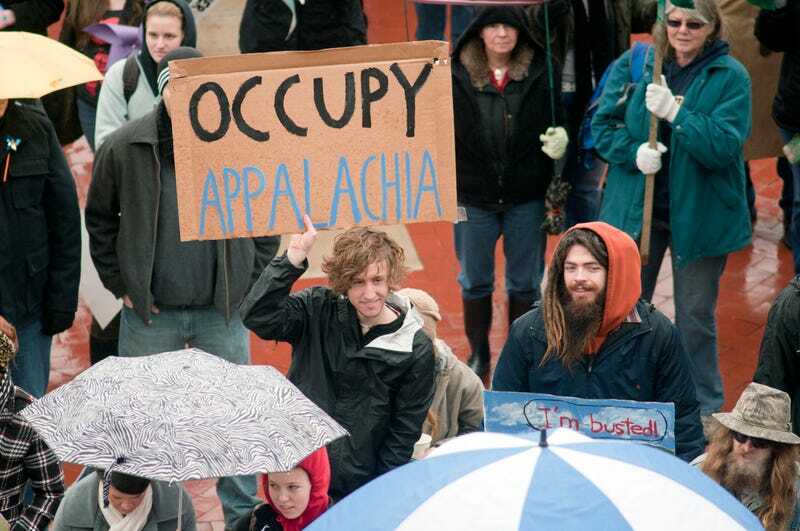 Appalachia is not some “other America”: we are fundamentally interlinked with the United States and the wider world ecologically, economically and socially.